» A burial at sea aboard the USS Hancock, 23 Jan 1945. 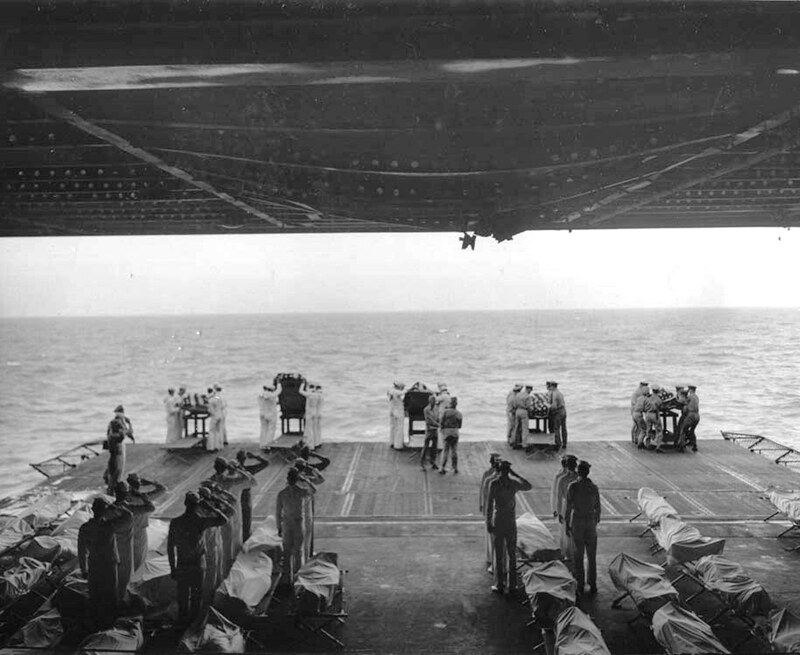 These sailors died 4 days earlier when a TBM Avenger aircraft exploded just after landing. The explosion bent flight deck frame members that can be seen overhead. This photograph has been scaled down; full resolution photograph is available here (1,828 by 1,496 pixels).